Though producers only publish their numbers for the previous year in the second half of February, the two biggest producers, Saku and A. 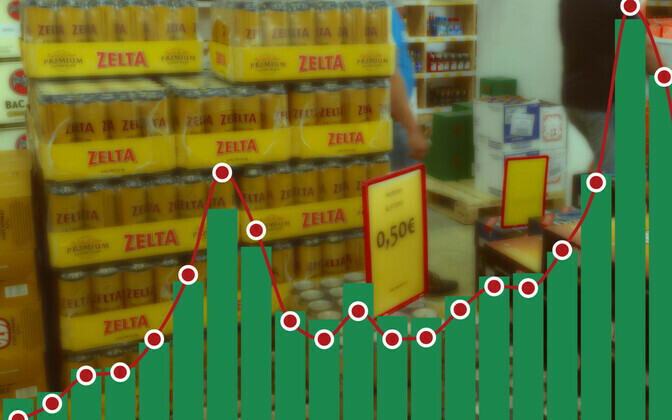 Le Coq, confirmed to ERR's Estonian news portal earlier this week that taking the amount of beer into account that was brought in from Latvia, domestic consumption of the drink has increased, and roughly a third of all beer consumed in Estonia last year was bought in Latvia. A. Le Coq's CEO, Tarmo Noop, told ERR that in the second half of 2017 more than a third of their production was sold to shops at the southern border. 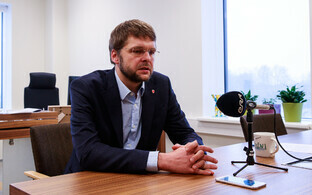 In December the company sold more than 40 percent of its total volume there, which Noop said is a new record. At the beginning of the year that share had been at 10-11 percent, Noop added. A. Le Coq are not the only ones seeing a boom: Saku's sales director, Jaan Härms, told ERR's Vikerraadio that the share of cross-border trade in their business is still growing at a quick pace. Credit card statistics confirm this as well, with the amount of money spent across the border in Latvia growing every month, also peaking in December. 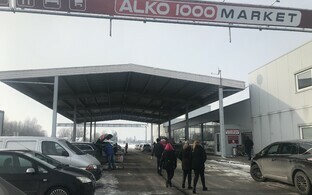 Stores on the Latvian side of the border are reacting to the increasing demand and making more space available. 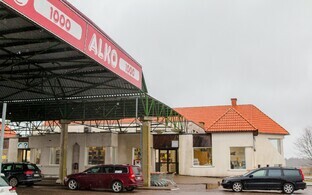 The two main border crossing points in Ikla and Valga now each have two sizeable stores. 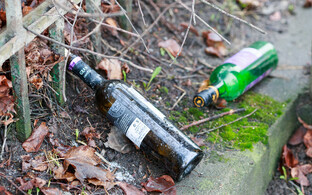 According to the producers, by now they cover roughly a third of Estonia's total alcohol consumption. Though in terms of beer sales we are currently in the low season, Saku are currently sending four or five truckloads of beer a day to the shops south of the border. 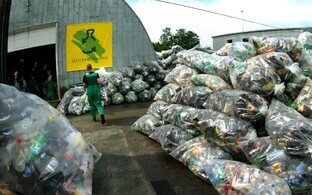 According to a prognosis by Härms, this could increase to 30 truckloads in summer this year, once the high season starts. Though Latvia is planning an excise hike for March this year, price differences are likely to remain the same, as Estonia's alcohol excise duty picked up again last month as well. With stores having doubled their space, people are still waiting in line. 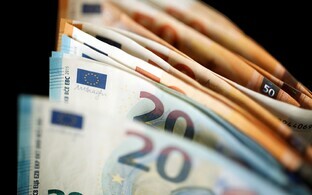 Whoever went and saw with their own eyes what the price difference really is typically ends up going back, Härms said. And demand will keep growing, he added. If the government hoped to apply the higher excise duties as a preventive measure, there is now little hope for this ever working. 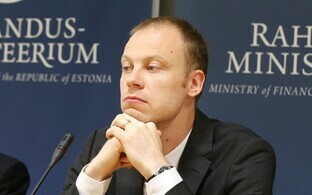 As Härms confirms, the affect on the producers has been positive, and consumption in Estonia is up. 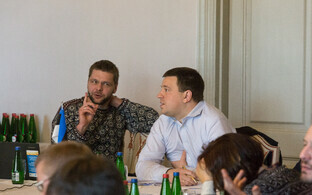 The only difference is that a large share of what Estonians drink is now bought in Latvia. 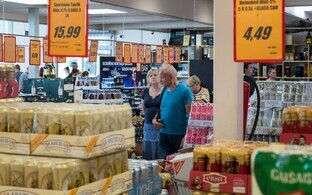 Another feature of the current run on cheap booze is that Estonian traders hardly stocked up before the higher excise duty entered into effect, as they were afraid that they might have trouble selling drinks at substantially higher prices. All things considered, the government's excise policy has been a complete failure, at least in the eyes of the Estonian beer producers. 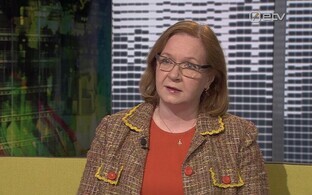 Instead of consumer behavior staying the same and excise revenue going up, there is now an €88-million hole in the state's revenue, €55 million of which are due to people's changed behavior buying alcohol, including the number of Finnish visitors to Estonia having gone down and excise revenue in the North dropping as well. 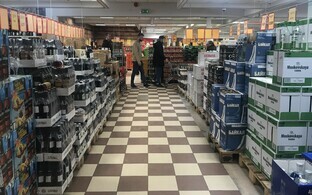 Estonia's alcoholic beverages producers are demanding that the government not only suspend the next excise increase announced for 2019, but revert the current rate to what it was before the new policy entered into effect. According to the producers' estimates, like this the state could count on enough excise revenue to make up for its 2017 loss within about a year. 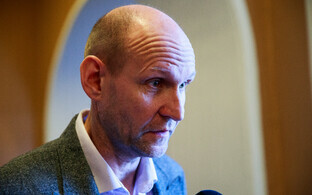 The numbers as currently included in the government's budget strategy are hopelessly unrealistic, Härms said.